You’ve done the hard work of starting an ecommerce business, and the last thing on your to-do list before your dreams are a reality is opening a merchant account. No big deal, right? It’s a simple concept: a merchant account is the kind of bank account that you need to accept and process online payment transactions for your ecommerce business. So if you want to sell something online and let people use debit or credit cards to pay, you need a merchant account. Every time a merchant account processes a payment on a credit card for you, there’s a risk. It’s right there in the terms of credit card companies like Visa and Mastercard — the cardholder has to receive the promised good or service. If not, they are entitled to get their money back. And if the good or service isn’t received, the merchant account loses money. That’s why you have to be approved for a merchant account: they have to evaluate whether or not you’ll provide the good or service you promise. Depending on the kind of service or product you provide, you might be seen as more “risky” by merchant accounts. The sale of adult material or hosting online gambling, for example, may carry a reputational or financial risk. Less severe but still moderately risky are goods or services that are purchased well in advance of use, like travel packages. The likelihood that they’ll be returned for a refund is high, and a travel agency might close its doors and leave banks on the hook for those reimbursements. 2) If you’re a startup, you might face more hurdles. Speaking of high-risk products, even simply being a startup might be seen as a risk, because up to 75 percent of startups fold. Still, that doesn’t mean it’s impossible to be approved for a merchant account. If your trading volumes are smaller, that actually might mean it’s easier to be approved. The less money flowing through the account comes with a potentially lower risk. But if you already have high trading volume or you’re concerned for another reason, it might be worth turning to a processor or agent that specializes in helping startups through the approval process. 3) If you have a subscription model, you’ll need to address long-term fulfillment to be approved. Businesses like online dating sites to magazine subscriptions fall into the high-risk category. There are a couple reasons for this: One is that these businesses attract higher than average chargeback and online fraud rates. Another is the long-term fulfillment question. Fulfillment is the time between when a payment is processed and when the product is delivered. The more time that passes between the sale and when the order is completed, the higher the risk score goes — that’s why selling vacation packages is riskier than selling baseball hats. Anything with a subscription and expiration date carries a higher risk because the fulfillment is so long. 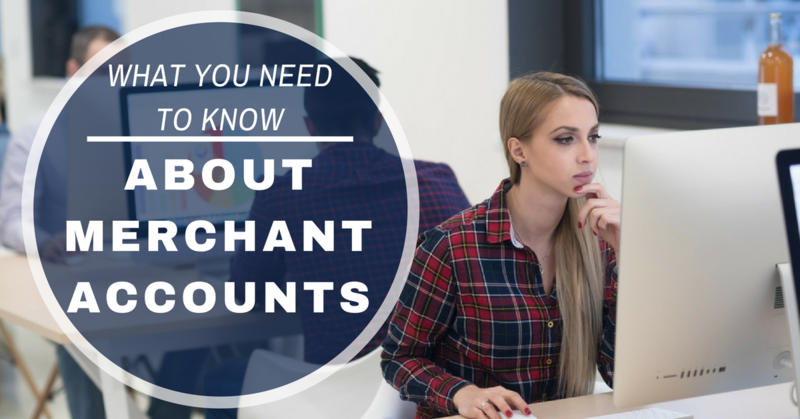 Controlling the fulfillment duration can help you get approved for your merchant account. You can build your business in a way that controls the risk from fulfillment duration or adjust your business model to reduce the subscription timeframe and help the risk score go down. But be sure to address this question in your cover letter: Take time to craft a thoughtful response to the long-term fulfillment question that will put your underwriter at ease. 4) A good cover letter can make a world of difference. In some cases, the cover letter is your only chance to sway the underwriter to approve your merchant account. Even if you’ll have a later opportunity to talk on the phone, a clear, professional cover letter will only help you. Basic cover letter rules still apply: try to be concise, clear, and use the letter to address any potential questions or concerns. Keep in mind if your product may be considered “risky” and what steps you have taken (or plan to take) to mitigate that risk. Don’t try to hide something like a history of bad credit — being straightforward shows the underwriter that you’re honest and are willing to discuss other potential issues. And don’t forget to talk about the good! You believe in your business, and you’ve done the work to make it a good investment. Keep it short and to the point, but don’t forget to highlight any important experience or qualities that make you stand out from your competitors. If you’re “high risk” you might feel the urge to apply to any merchant account in the hopes that you’ll find one willing to take you on. But if it looks too good to be true, it probably is. Avoid “free” merchant accounts or those that offer cash back if you find another deal. You should also protect your financial information, read all the fine print, and research everything carefully. There are processors that specialize in high-risk accounts, but they will charge higher fees. If you have been denied by other processors and find it to be your only option, ensure you aren’t locked into a contract and build up your history for six to 12 months. After that, you might have a better shot at reapplying to other merchant accounts that are a better fit and charge lower fees.